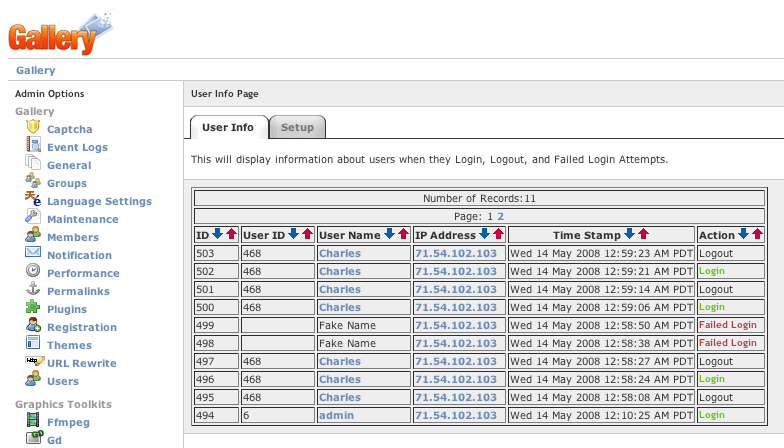 Logs User ID, User Name, IP Address, Date and Time, and Action when users Login, Logout, or on a Failed Login Attempt. This module was created by Charles Knowlton (Charles08) with the much appreciated help of bharat, ckdake, talmdal, and valiant. It will now install on both Gallery 2.2.4 and Gallery 2.3(SVN) without having to deactivate, uninstall, or rename any files. You can install this module by clicking on the Plugins link from the left side. You will then see the Module listed under Extra Data. You can also go to http://gallery-contrib.svn.sourceforge.net/viewvc/gallery-contrib/trunk/gallery2/modules/userinfo/ to download the files. 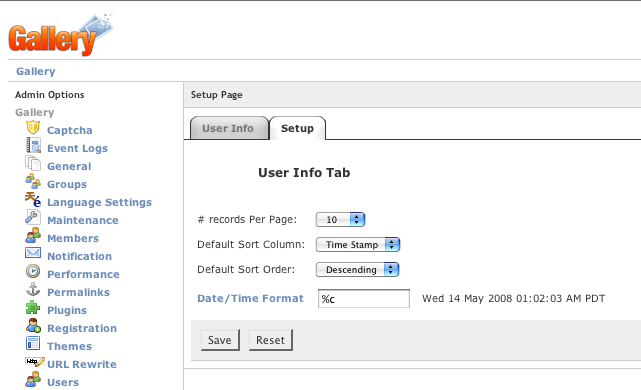 Added Setup Tab for future use. Added UserinfoSetup.tpl and UserinfoSetup.inc files.